These Grilled Chili Lime Turkey Tenders are tender, juicy, and loaded with the fresh flavor! 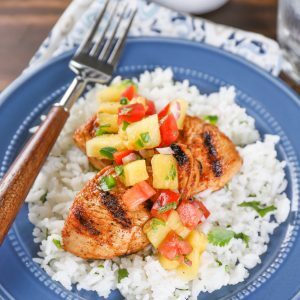 Serve it with a generous helping of homemade Pineapple Salsa for a new favorite summertime meal! June is here (which for us in MN means that warm weather has finally arrived), and our grill is officially working overtime! I don’t know about you, but once the warm weather hits, we almost exclusively grill our meals. 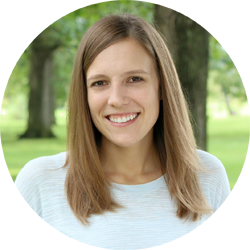 It just so happens that June is Turkey Lovers’ Month, and I’ve teamed up with the Minnesota Turkey Growers Association again to help you celebrate! Did you know that Minnesota ranks No. 1 nationally in turkey farming? They provide the best care possible for their flocks to ensure that the turkeys are healthy and safe. Turkeys live in free-roaming (never in cages) barns to protect them from the weather and predators and where they always have access to fresh food and water. In fact, all turkeys in the U.S. are raised without any added growth hormones and steroids. Check out these “Turkey Truths” videos for more facts on how turkeys in the US are raised. The most natural way for us to celebrate in June is to fire up the grill! After grilling this spinach feta stuffed grilled turkey tenderloin last year, we’ve been experimenting with other ways to grill up this flavorful cut of meat. It’s so versatile and lean, that it has made a great addition to our grilling rotation! Reduce sticking by lightly coating your unheated grill with non-stick vegetable cooking oil. Turkey will brown quickly, so keep an eye on it and make sure that the meat has reached a correct internal temperature. 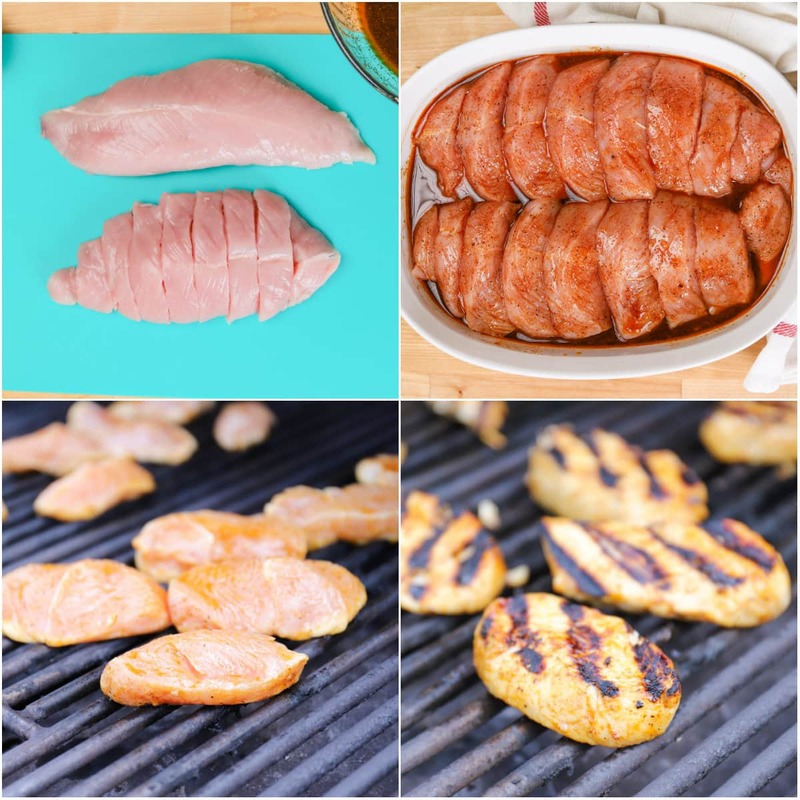 Always cook turkey tenderloins, cutlets, breast, bone-in, burgers and sausages to the internal temperature of 165°F and drumsticks and thighs to the internal temperature of 175°F according to a food thermometer. Use tongs and spatulas! Piercing the turkey meat causes flavorful juices to escape. Apply sauces or glazes containing sugar during the last 10-15 minutes to avoid burning. To grill this cut of turkey, a turkey tenderloin is cut into 1 inch slices and covered with a chili lime marinade. Let the tenders sit in the marinade anywhere from 30 minutes to an hour and then place them on the grill. Halfway through the grilling time, brush the tenders with the reserved marinade and cook them until the internal temperature reaches 165°F. The result is tender, juicy turkey tenders that will disappear in a hurry at mealtime! To add even more flavor to the meat, we served the the chili lime turkey tenders with a fresh pineapple salsa. 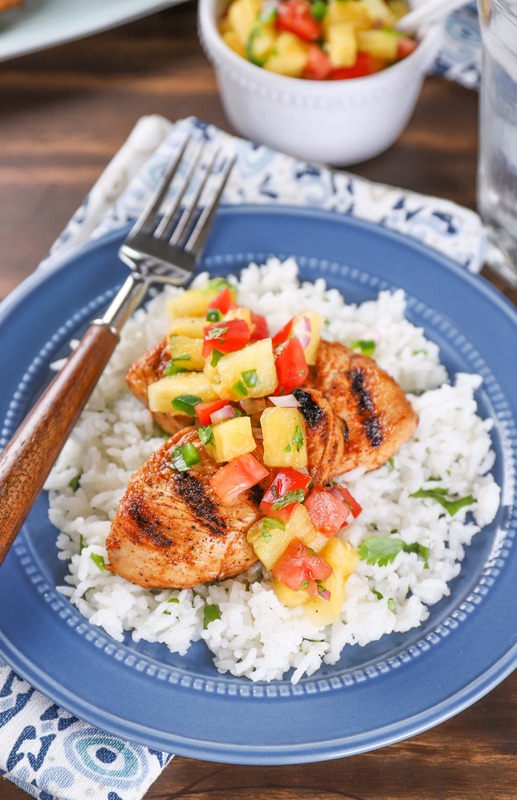 The basic recipe comes from this homemade pineapple salsa that we love to eat plain with tortilla chips or serve it alongside our favorite fish or chicken or, in this case, turkey! 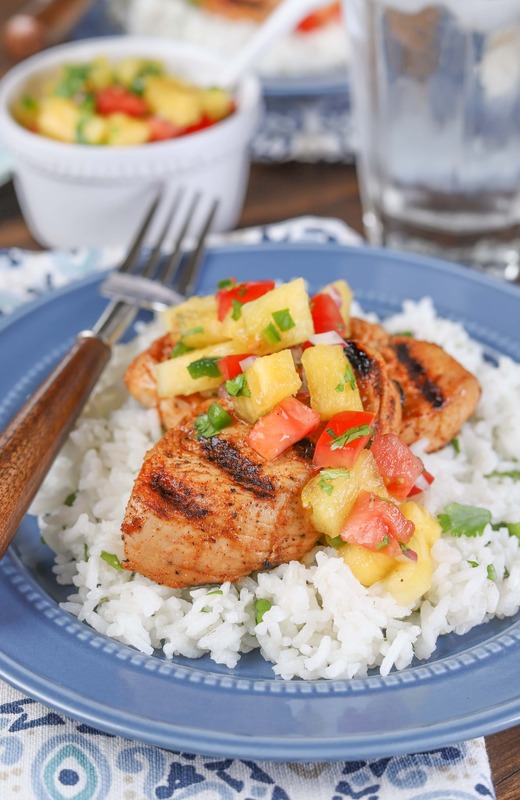 The fresh flavors of the pineapple salsa pairs perfectly with the bright flavor of the lime in the turkey. And depending on how you spicy you chose to make it, it adds a bit of heat to the dish! 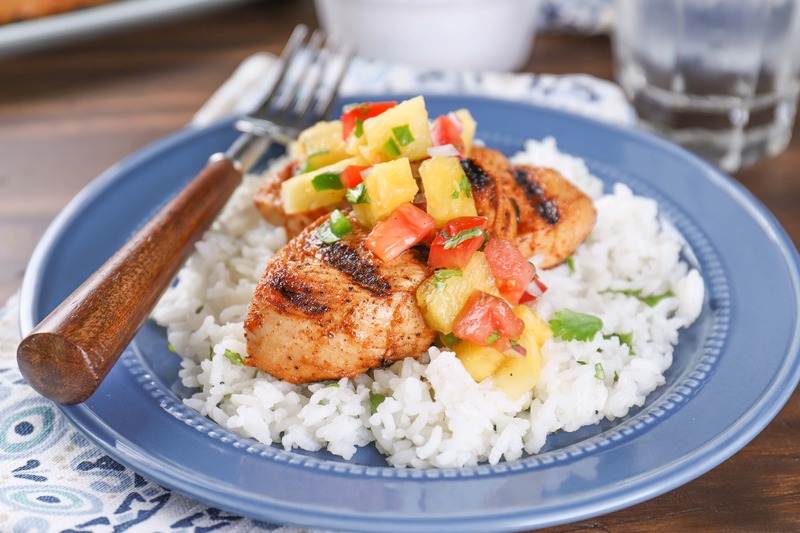 Serve the turkey and pineapple salsa as is or serve it on top a bed of rice or quinoa. 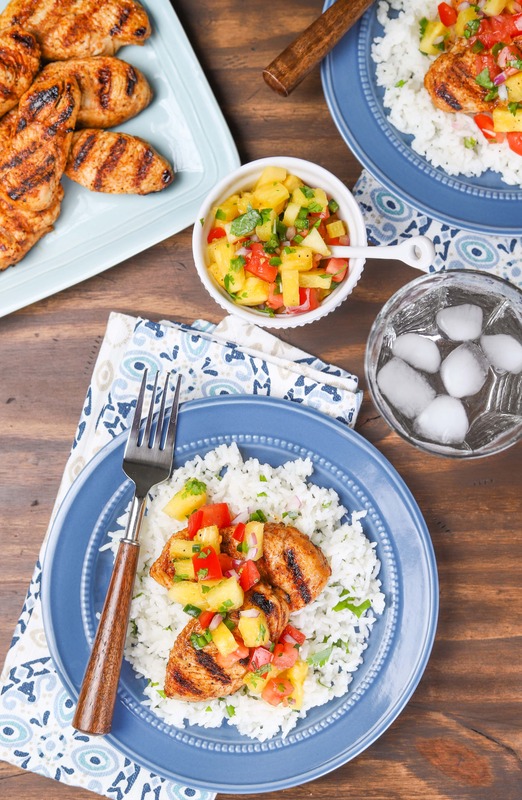 Either way, your summer grilling menu just got a bit tastier! In a small bowl, whisk together olive oil, lime juice, honey, soy sauce, chili powder, onion powder, salt, pepper, and garlic. Slice turkey tenderloins into 1-inch wide slices. Place turkey in a shallow dish and cover with half of the marinade. Cover and let sit for at least 30 minutes. You can let it marinate for up to an hour. OR Place turkey and half of marinade in a gallon size zip-locked plastic bag. Gently toss to coat and allow to sit for at least 30 minutes. While turkey is marinating, prepare salsa. Gently mix all ingredients together until combined. Cover and place in refrigerator to allow flavors to blend while turkey is grilling. Bring grill to medium to medium-high heat. Brush grate with oil. 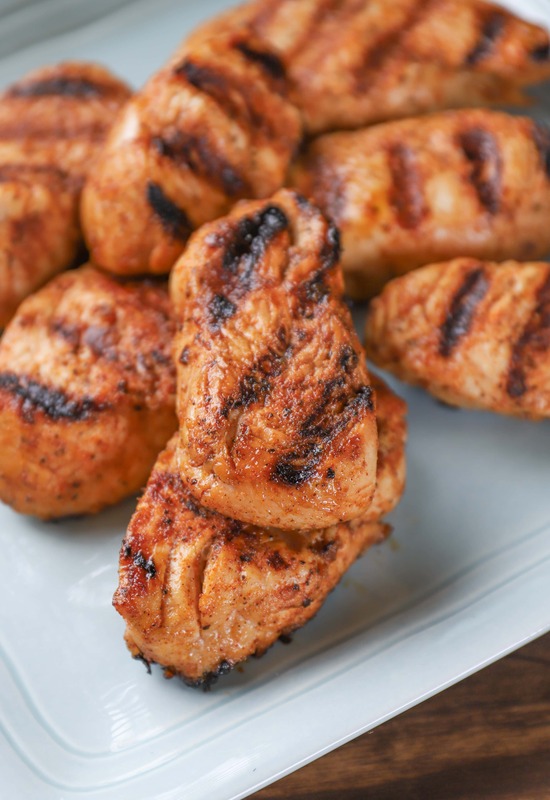 Remove turkey tenders from marinade and place on grill. Grill for 6-7 minutes per side until internal temperature reaches 165 degrees F. Halfway through cooking time, brush with remaining marinade. Remove turkey from grill and allow to rest for 5 minutes before serving. Serve turkey tenders by themselves or over a bed of rice. Top with a generous helping of pineapple salsa. Be sure to follow the Minnesota Turkey Growers Association on Facebook, Twitter, and Pinterest for more turkey tips and tricks! Feel free to join the conversation using #ServeTurkey and #TryTurkey! This looks amazing! Hope you guys are doing well. Please wish Jeff happy birthday from us! Only recently discovered how beautiful it is to combine pineapple with meat so this one is another beauty to prepare ! Thank you !